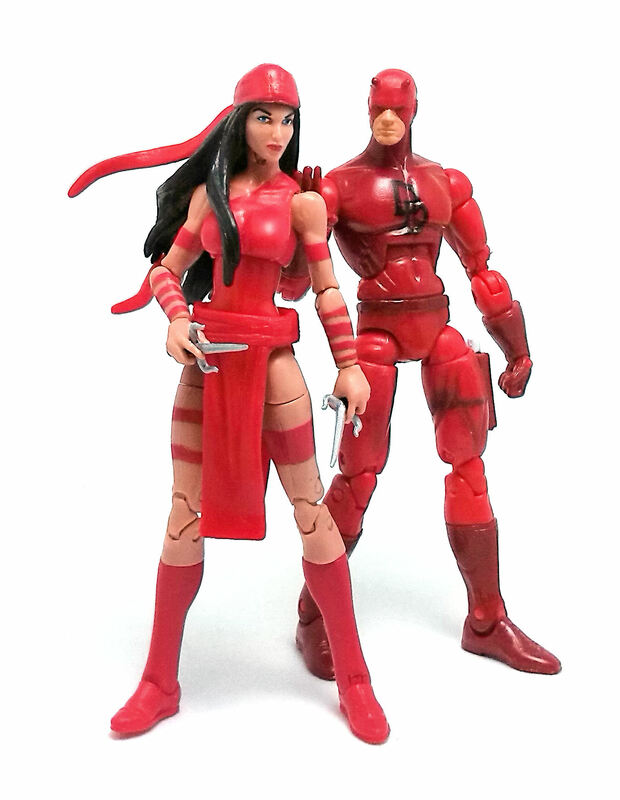 Even though I never really read Daredevil comics growing up, Elektra is one of those secondary characters that kick started the whole Ninjas-Are-Cool trend back in the day so, she was one of the characters I wanted the most to see in action figure form when the Marvel Universe line started. It took until Series 5 to see her done this way, and I am really happy it took this long so as to have her using the more recent female body type, instead of having her kit bashed from the multitude of female characters sporting the first generation buck. Elektra’s costume design is actually very simple, consisting on a brief leotard with ribbons painted onto her forearms. 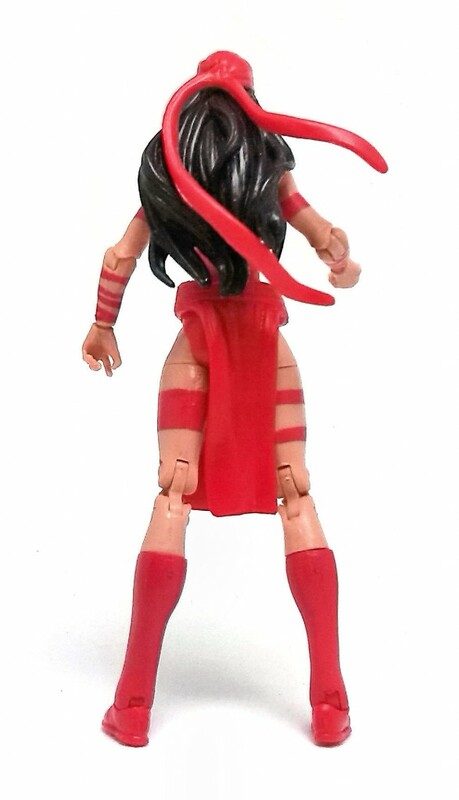 The really unique pieces sculpted for Elektra are her sash/loincloth, her hands and her head. The hands are sculpted with extended index fingers to accommodate her weapons, and her sash is a loose hanging piece around her waist. The head is composed of the face and a rubber wig/bandanna piece. The face is actually very pretty and her hair is sculpted in flowing strands that convey subtle movement. Even though most of the joints work as intended, there are a few issues with the neck and the hip joints. On the neck, the range is somewhat impaired by the hair sculpt, although it is still possible to finagle some sideways glances. The hip design is rather tight, allowing only for the legs to go up and down, with little to no lateral movement. 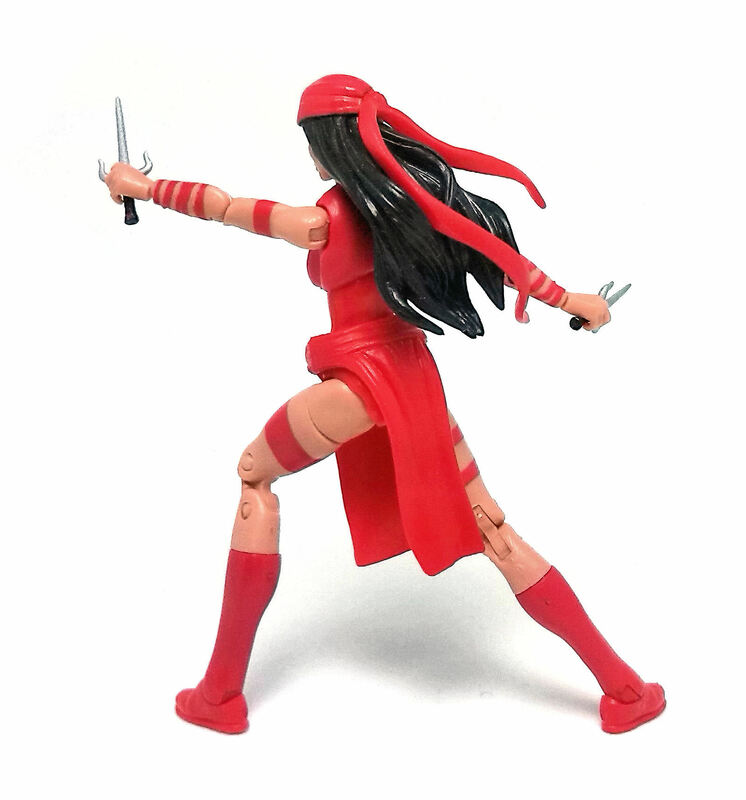 Again, Elektra can still achieve some dynamic poses thanks to the rest of the leg joints, but the options are more limited that I would have liked. 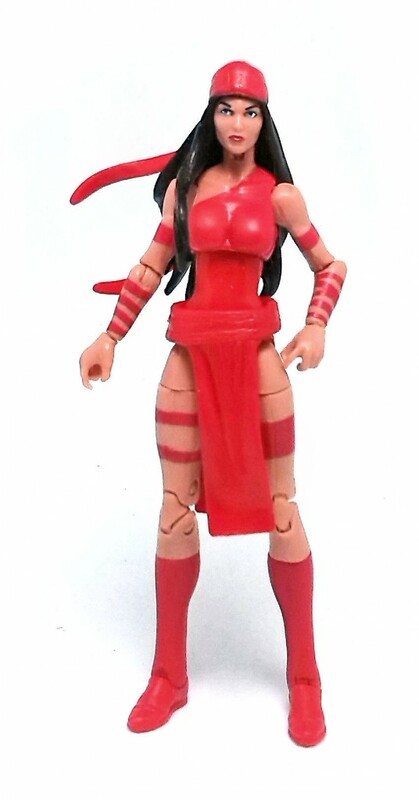 Elektra is made from red and flesh colored plastics, thus the paint application on her are minimal. Overall, the paintjob on my figure is pretty decent. There were a few wavy lines on her ribbons, but her face paint was really neat and coverage was good on both the red and black areas. 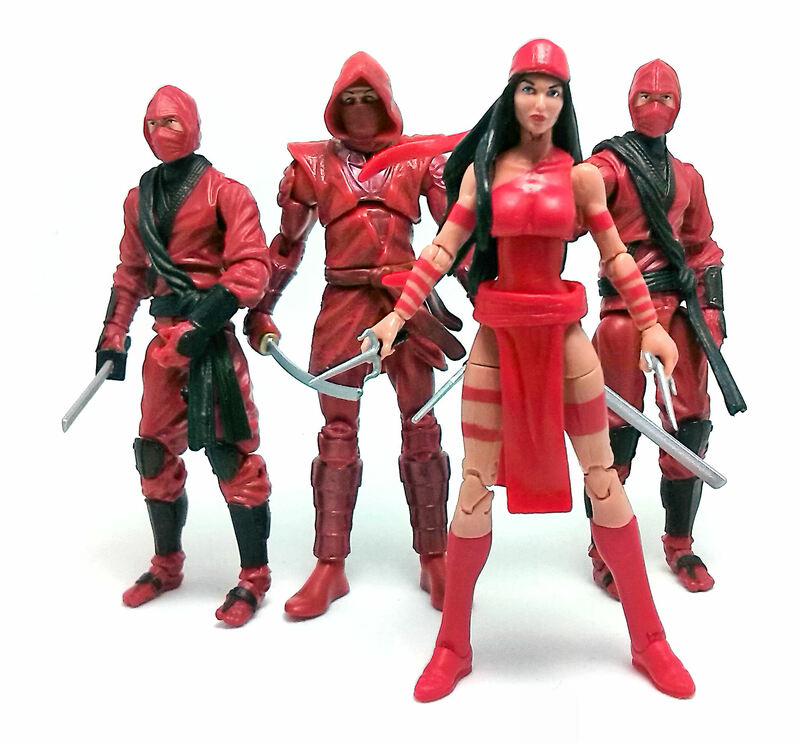 As far as accessories go, Elektra comes with just a couple of Sais. These tiny weapons are made from rubbery plastic and are painted in silver and black. Elektra can grab them in each hand and the grip is reasonably firm, although the pieces are so small it is advisable to always be very careful while handling them. 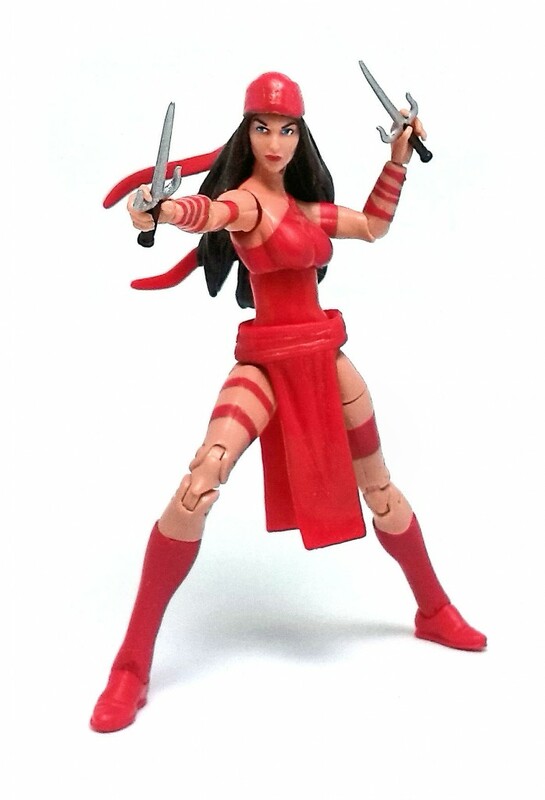 Despite her small shortcomings, Elektra is definitely one of the figures I liked best from Marvel Universe Series 5.